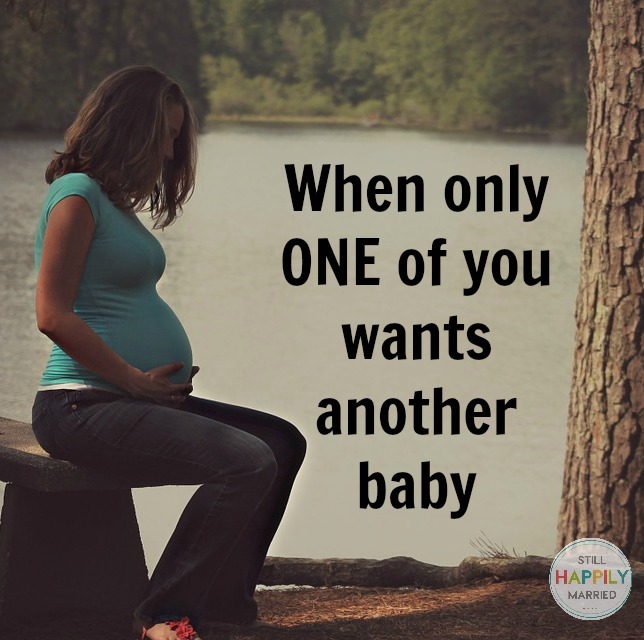 When only one of you wants another baby, it can make things… hard. Marriage is already hard enough, trying to find time to be together and manage the day to day life. 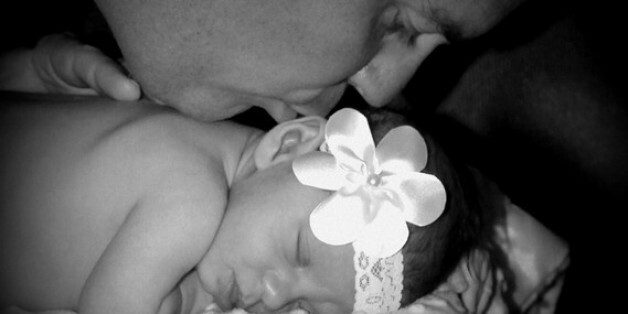 The day after we had our third baby, I was scheduled for a tubal. We had talked about this decision months before I delivered, and felt it was the responsible thing to do. Most people thought we were crazy for even having a third child because we already had a boy and a girl… and to society, we had our full, perfect family. Why in the world would we want to add more children to it? However, when they came to take me back for my procedure, as I laid in the hospital bed holding my barely 1-day-old baby, I knew in my heart, right then and there, that there would be a fourth. I was disgusted at myself for ever consenting to this in the first place, and I was in hysterics as doctors and nurses approached me for the paperwork to sign off on the surgery. Today, I can’t thank God enough for tuning me in to my maternal instincts, because without a doubt, I knew there was one more child to come… someday. Our lives were busy. OK, that is putting it quite lightly. They were crazy. We had three children, one baby coming every other year. We had our kids involved in extracurricular activities, my husband had his hands full with his job and in between getting not even close to the amount of sleep a body needs to appropriately function, I was teaching full time, writing a column, writing a book, started my own photography business and within a short amount of time, had six grad classes to take within one semester. Shortly following this, I made the decision to become a Beachbody Coach. Oh… and most importantly, I was a wife and mother and had to keep our household running. So… with that said, what rational person would want to add another baby to that mix? Yes, it was me. As much as I knew what the stress of another close pregnancy (my fourth in six years) would do to my body, I yearned for it. I felt that it was coming. My husband, on the other hand, was a realist, a very practical person, and realized our schedule was filled to the max, as we barely survived our days as it was. We had three, beautiful, healthy children and that was it for him. We were done, and even talking about adding another brought stress to the table. He knew I wanted one more. It was no secret to anybody that was even somewhat familiar with me. With every fiber in me, I knew in my heart that our family wasn’t complete. There was never one lie, secret or trick, but lo and behold, as our timing had come yet again… another year, another pregnancy. I’ll never forget the look of pure shock or quite frankly, pure horror, on his face when I told him. He turned white, sweaty, started pacing and couldn’t find any words, except that he couldn’t talk to me about it right then. Both of our heads were spinning, and despite wanting this baby and knowing deep in my heart that he or she would have come into our family at some point, I was still in a state of shock as well and just wanted and needed my husband to put his arms around me and hold me tightly and tell me that everything would be OK, simply because it had to be. However, it was everything else that got in the way. The worry of money; we just made it by the skin of our teeth each month as it was. The worry of our sanity; we had already lost our minds and now we were bringing another baby into our family. The worry of simply surviving in general; physically, financially, emotionally and mentally. What society thought and said of what was right and practical was totally overtaking his rationalizing, whether it was right or wrong. Emotions were mounting on both sides. We went through several months of very strong, aggrieved feelings toward each other. And sadly, it had brought me to feel at certain points like I was crashing and burning. I began questioning myself, “What was I thinking? How are we going to do this? Maybe he’s right. Maybe my wishing and hoping and praying for this wasn’t the right thing after all.” And with the pregnancy bringing hundreds of different hormones and emotions, I felt at times so defeated and uncertain of what the future held for our family. The questions kept playing over and over in my mind. How dare he feel this way?How could he possibly almost deride the thought of adding another baby into our family? And what kind of partner was he to almost isolate me, since this was, in fact, my fault? He simply feared an unknowing future and had let that fear get the best of both of us. I can’t tell you our exact turning point. I don’t remember when one day was better than the other. But after months of adjusting and praying that this too, just as everything we’ve gone through before, would work itself out and would have a happy ending, we seemed to turn a corner somewhere. Maybe it was my growing belly that reminded us that our sweet angel was indeed on her way. Maybe it was the tiny, precious kicks that made everything so much more real. Maybe it was watching our children fall in love with their little sister and watching their sincere innocence and anticipation and ultimate love and acceptance of the miracle that was surely on its way. But soon, we found ourselves much closer and embracing what our large, already crazy, yet amazing family, would be welcoming. This had finally led to an impatient countdown of our baby girl to finally make her arrival as the anticipation for her became far too much to even bear. We finally loosened our grip on all of the what ifs, the hows, and the questioning of how everything would play out. Today, I sit here and watch my husband holding her. With each of our children, he fell immediately in love with all of them, but this time it’s different — I see a deeper appreciation for our daughter. She was certainly a gift we were supposed to have, but a gift he never anticipated that he’d want. She’s absolutely the missing piece that our family needed, but the emptiness he never knew existed until she came. And she’s undeniably his little princess, as she is identical to each and every last feature of his, and is intensely drawn to the sound of his voice. Since this baby has made her way into our family, I become more enamored each day as I watch my husband hold her so delicately, love her so affectionately and stare at her so intently in a way that I’ve never seen him do. The words don’t need to be spoken, but I see it all in his eyes as he looks at her. It turns out that sometimes the greatest gifts, the things we need most in this world, are blessings we never pictured having until they are upon us. We finally gave our unknowing future up to the one who has a perfect plan laid out for our family. What we’ve learned for us is that some of the hardest times we’ve feared and endured have often led us to the most absolute, greatest moments of our life. They say that the couples who are meant to be together, go through everything that is designed to tear them apart and somehow come out of it stronger. Thank God that this has been us… continually hurdle after hurdle, year after year. Just as the great Nelson Mandela said, “It’s always impossible until it’s done.” This little piece of Heaven changed our family, changed our hearts, and showed that with love involved, anything is possible. Follow Regan Long on The Real Deal of Parenting for more.